The Armenian defense minister, who is begging the Armenian diaspora in the US for money, has nothing else to do but to voice statements against the Azerbaijani army, spokesman for the Azerbaijani Defense Ministry, Colonel Vagif Dargahli told reporters April 1. Dargahli was commenting on the information in the Armenian media outlets about the alleged negative incidents in the Azerbaijani army. He stressed that the Armenian military leadership is doing everything possible to tarnish the Azerbaijani army’s success. “This is done with the aim of hiding negative phenomena constantly occurring in the Armenian army from the international community and the Armenian public, as well as the continuous growth of non-combat losses, poor supply, corruption facts beginning from the high-ranking generals and ending with commanders of military units,” Dargahli added. “In particular, Armenian Prime Minister Nikol Pashinyan admitted that according to the facts, the Armenian army is governed upon criminal rules,” he said. "Armenian Defense Minister David Tonoyan once collected money to buy spades and other accessories,” he said. “Presently demonstrating this skill by begging the Armenian diaspora in the US for money, Tonoyan has nothing to do but to voice statements against the Azerbaijani army." “The Armenian side, referring to the biased and deceptive statements of some "military experts" living outside of Azerbaijan, intensifies the campaign to vilify the image of the Azerbaijani soldiers and high-ranking military personnel, reforms being carried out in the army and also forces these "experts" to act upon the Armenians’ order,” Dargahli said. 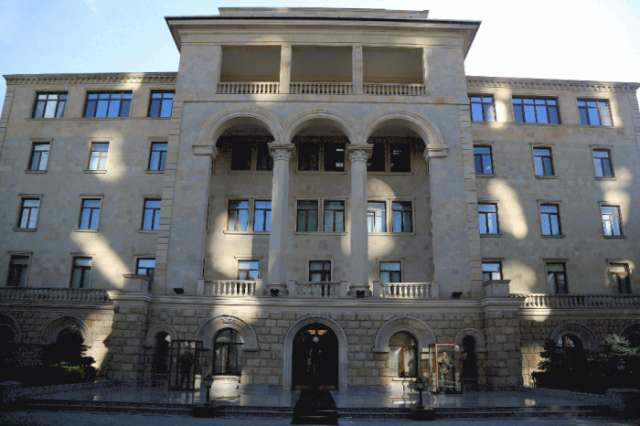 He stressed that the purpose of spreading news that does not rely on any facts is an attempt to form a feeling of mistrust in Azerbaijani society towards the army and its patriotically-minded personnel. He added that during such visits, the guests review the most modern weapons and military equipmentof the Azerbaijani army. “Of course, all this annoys the enemies of Azerbaijan, including the "military experts" who directly help them, and they are out of despair spreading such biased and slanderous information,” Dargahli added. “They hope to achieve something. However, their hopes, as always, did not come true."